Key technology industry players have announced plans that will deliver 4G connectivity to the moon sometime in 2019. 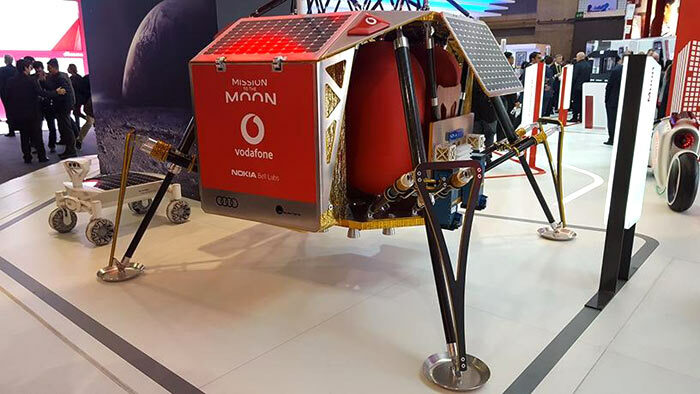 Vodafone (network operator), Nokia (networking equipment), and Audi (Lunar rover maker) are the partners that have outlined plans for this space-grade mobile network deployment. The 'Mission to the Moon' project aims to create the first 4G network on the Moon, a full 50 years after the first NASA astronauts walked on its surface. Berlin-based company, PTScientists is working with the aforementioned companies for this privately funded moon landing. It is noted that 4G is far more energy efficient than analogue radio communications. Unfortunately, it is still too early to prepare a 5G deployment, as such networks are still immature. A SpaceX Falcon 9 rocket will take off from Cape Canaveral, Florida next year to deliver the Nokia-built space-grade networking device, which weighs less than one kilo. 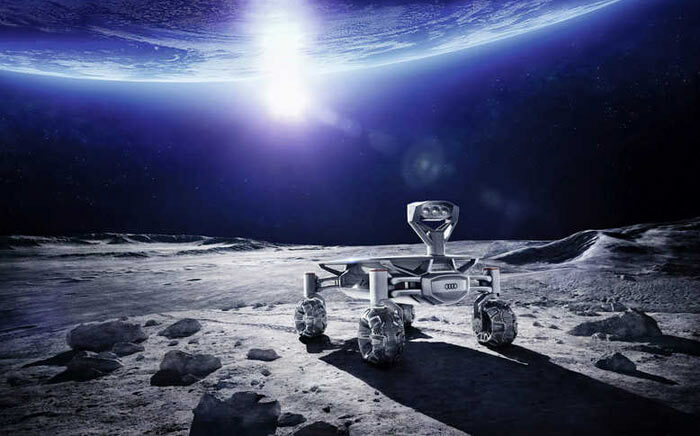 The 4G network created using the device will be used to connect two Audi lunar Quattro rovers to a base station in the Autonomous Landing and Navigation Module (ALINA). Once connected, the rovers will be able to communicate and transfer scientific data and HD video while they approach and study NASA's Apollo 17 lunar roving vehicle. As a reminder, that vehicle was used by the last astronauts to walk on the Moon in December 1972. Vodafone has assessed the Nokia tech and reckons it will be capable of broadcasting 4G, using the 1800MHz frequency band, and sending data back to Earth for the first ever live HD video feed of the Moon's surface. The PTScientists server in Berlin will broadcast the video to a global audience via a deep space link. It is thought that developing such off-world infrastructure is important "for humanity to leave the cradle of Earth". So if this happens (and I doubt it will in all honesty) the moon will have 4G before where I live will…. Checks date - seems one month early. Audi becomes the first private vehicle on the surface of another “world” (second in space, Tesla beat them to it), Vodafone becomes the first extraplanetary ISP, and Nokia provides the communications hardware for these achievements (an achievement itself). This is about bragging rights, and this shows space travel is getting cheaper every year, 10 years ago the costs would eclipse the brag rights benefits. Now, what's next? It's time for “1st in space” awards. I'm looking forward for the zero gravity Olympic Games, that should be a laugh.